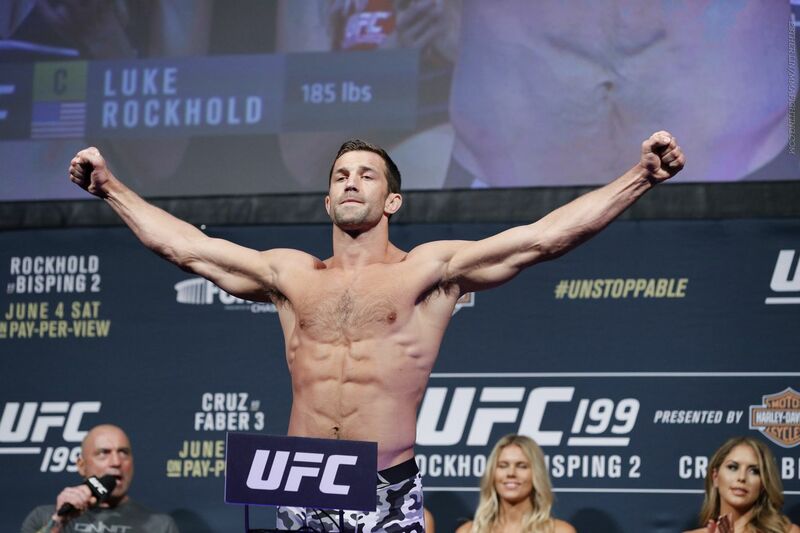 Soon, Luke Rockhold’s move up to 205 pounds will be official. The former UFC middleweight champion has his first booking at light heavyweight as the promotion announced Wednesday that Rockhold will fight Jan Blachowicz at UFC 239 in Las Vegas on July 6. This matchup was previously reported by ESPN. Rockhold (16-4) has not fought since being KO’d by Yoel Romero last February at UFC 221 in a battle for an interim middleweight championship. Only Rockhold was eligible to win the title due to Romero coming in heavy, but Rockhold himself has expressed concerns over his own cuts down to 185 pounds and his upcoming bout with Blachowicz marks a fresh start for the 12-year veteran. He is 6-2 in his last eight fights. On the other side, a win over Rockhold would keep Blachowicz’s own hunt for a title opportunity alive. The 36-year-old Pole emerged as a dark horse contender at light heavyweight, winning four straight bouts before losing his last fight against Thiago Santos in February. That dropped his record to 6-5 in the UFC and 23-8 overall. Previously reported UFC 239 bouts between Francis Ngannou and Junior dos Santos, and Diego Sanchez and Michael Chiesa, were also made official on Wednesday.